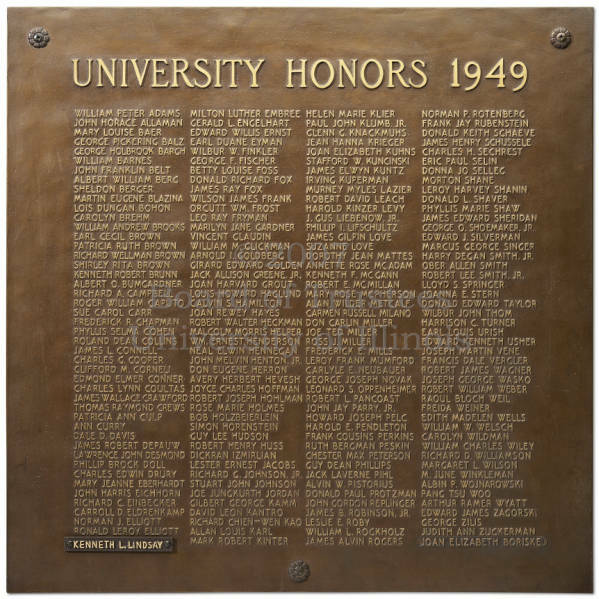 The University of Illinois began the tradition of inscribing the Bronze Tablets with the names of students receiving University Honors in 1925. A new tablet is hung in the Main Library each year. 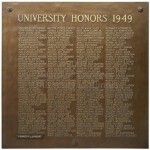 Inscription on the Bronze Tablets recognizes sustained academic achievement by undergraduate students at the University of Illinois at Urbana-Champaign. According to the Student Code, students must have at least a 3.5 cumulative grade point-average through the academic term prior to graduation, and rank in the top three percent of the students in their graduating class.